There are several improvements located on the property – 3 homes and 3 metal barns/shops. Williams Drive (FM 2338) has been widened to 5 lanes from Shell Road to Parmer Lane. 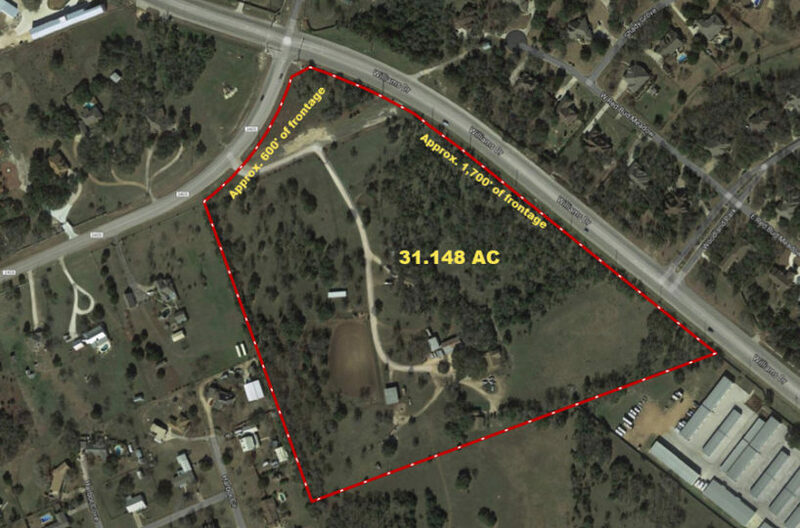 With the opening of Parmer Lane, approximately 3 miles to the west, and the continued growth of Sun City (1.5 miles) and other planned future developments in this area, this corner site will be in the middle of both residential and commercial construction. Both the City of Georgetown and Chisholm Trail SUD are planning sewer sites in the area to serve the projected future growth. The property is a beautiful relatively flat site that lends itself to many commercial possibilities. There are several improvements located on the property – 3 homes and 3 metal barns/shops.